Emily Dunlap won her second straight Upstate championship by finishing on top of the AAAAA qualifying tournament. 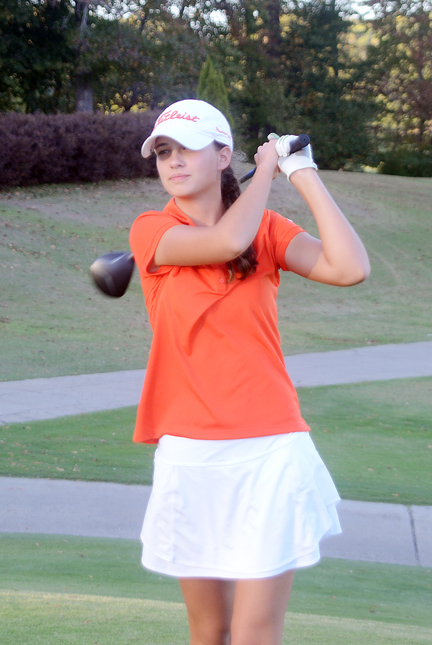 Last year Emily Dunlap was the top finisher at the Upper State AAAA qualifying tournament. This year, her Mauldin High School team was moved up a class to AAAAA, but the result for Dunlap was the same. The Mauldin sophomore shot a 1-under par 71 at the Carolina Country Club to win top individual honors again. Dunlap was 1-under par through her first eight holes, but when she double bogeyed the ninth hole she knew she had to pick up the pace if she hoped to repeat as champion. “I knew I needed a really good finish on the back nine. I made a couple of birdies and I had two really good par saves to give me a chance,” she said. The Mauldin golfer made a birdie on the long and difficult finishing hole at Carolina to card a 71 and then had to wait for the rest of the field to finish. “There are a lot of good golfers and I didn’t want to get too excited before all the scores were in,” she said. Dunlap couldn’t claim the top spot until the last golfer finished. Alyssa Campbell of Clover finished at even par to tie Elle Johnson of Spartanburg for the runner-up spot. Byrnes and Boiling Springs battled each other all year for the top spot in Region III and the two continued their competition in the Upper State tournament. The Rebels were able to take a two stroke victory over the Bulldogs to claim the Upper State team championship.Byrnes shot a team total of 334 while Boiling Springs was right behind at 336. 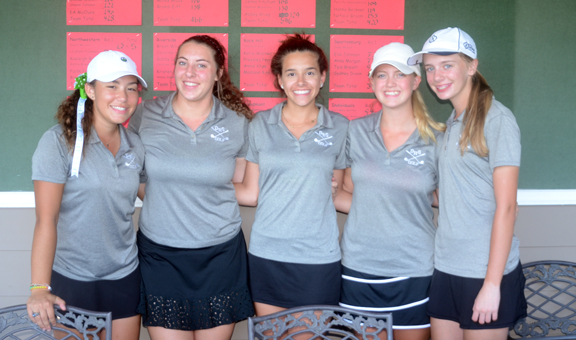 Dorman was third among the eight teams that qualified for the AAAA state championship next week in Columbia. 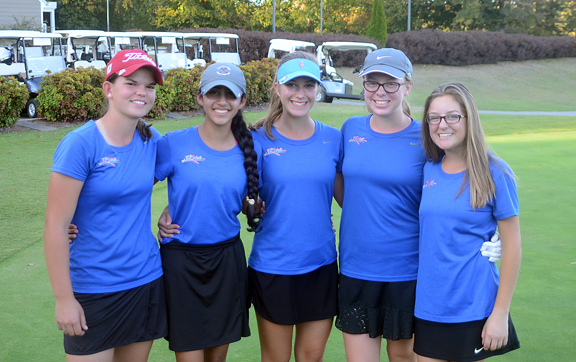 “I’m not real sure about this, but I think this is the first Upper State championship Byrnes has won in either boys or girls golf,” said Rebels coach Arthur Brooks. 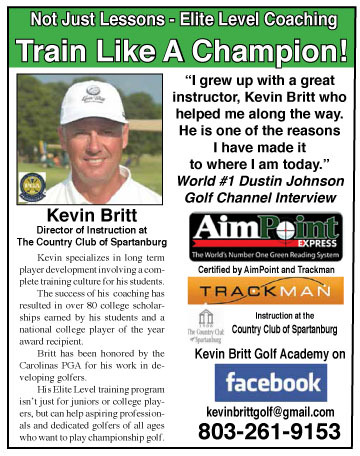 “I’m really proud of them, they never quit even when they hit a bad shot. They took things one shot at a time and pulled out the win,” he said. Boiling Springs won the Region title and now is looking forward to playing in the state championship. 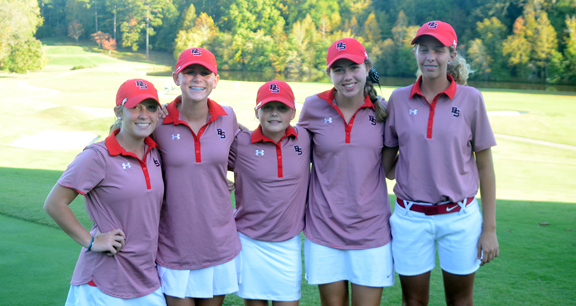 Boiling Springs finished second at the Upstate AAAAA Qualifying tournament. The team included Daniella Cobb, Amber Amaker, Sydney Roberts, Maggie Smith and Caitlyn Cash. “We were undefeated in nine hole matches, but we didn’t play as well in 18 hole tournaments,” said Boiling Springs coach Kyle Scruggs. “We finished third in the state last year and we will need to play better to get a better finish,” he said. Dorman is the defending big school champion. The Cavaliers finished third, but they will go to the state championship with a completely new team. None of the players on the AAAA championship team last year are on the team this year. “We have some talented players, but this will be the first time any of them will play in the state tournament. It should be a good experience for them,” said Dorman coach Lewis Terry. “We are really proud of the way the teams in Region III played. The top four teams in our region are all going to state,” he added. 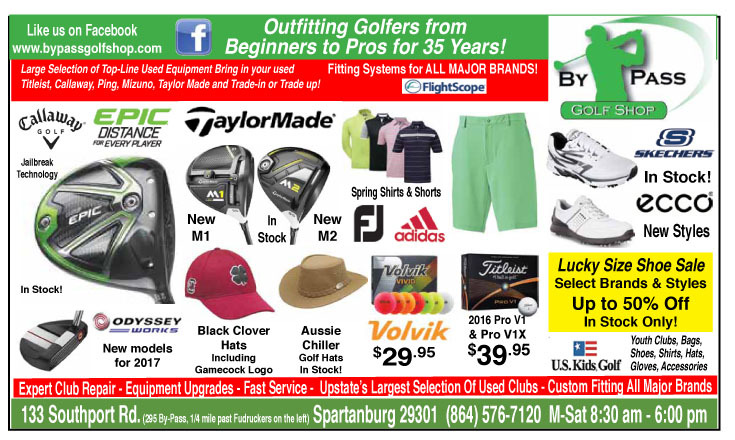 Spartanburg had two of the top four finishers in the tournament, Johnson and Anna Morgan helped the Vikings finish fourth and join the teams from T.L. Hanna, Northwestern, Fort Mill and Mauldin as qualifying for the state championship. The defending AAAA champions from Dorman earned a trip back to the state championship. The team included Maria File, Kailey Eggert, Juliet Maroni, Scarlett Duncan and Katie Kulas. Four individuals also qualified for the championship. Joining Clover’s Campbell were Kerrington Lamb from Easley, Zoe Bauers from Nation Ford and Nicole Shah from J.L. Mann. 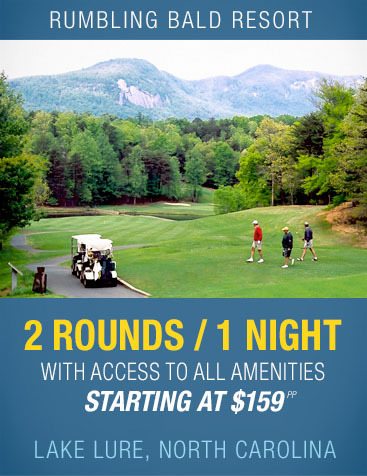 The AAAA state championship will be played on October 24 and 25th at The Members Club at Wildwood.